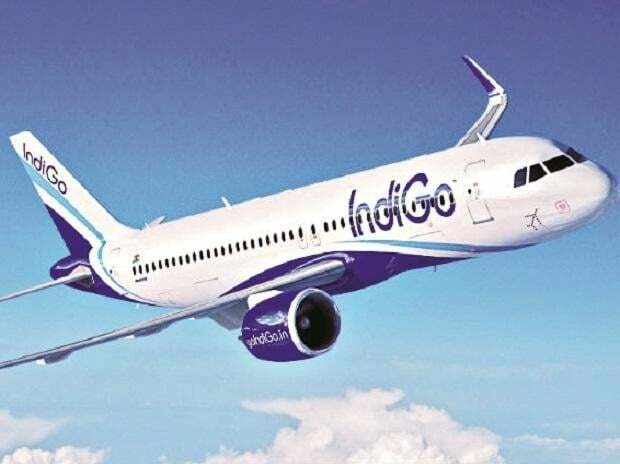 Shares of InterGlobe Aviation, parent of IndiGo, and SpiceJet rallied by up to 7 per cent in intra-day trade on BSE on Wednesday in an otherwise range-bound market. The stock of Jet Airways slipped 6 per cent to Rs 214 in intra-day trade today on report that angry passengers demanded refunds and pilots threatened to go on strike over unpaid salaries. Jet Airways had on Tuesday, after market hours, said that additional six aircraft have been grounded due to non-payment of amounts outstanding to lessors under their respective lease agreements. The company is actively engaged with all its aircraft lessors and regularly provides with updates on the efforts undertaken by the company to improve its liquidity. Aircraft lessors have been supportive of the company's efforts in this regard, the airline said. The company is also making all efforts to minimize disruption to its network and is proactively informing and re-accommodating its affected guests. The company also continues to provide required and periodic updates to the Directorate General of Civil Aviation (DGCA) in this regard, it says. The DGCA last week suspended operations of the Boeing 737 Max 8 aircraft in India following the recent Ethiopian Airlines crash. SpiceJet counter has seen huge trading volumes with a combined 1.6 million equity shares changed hands till 01:08 pm, against an average 1.2 million shares were traded daily in past two weeks on the BSE. The stock of InterGlobe Aviation was up 3 per cent to Rs 1,363, quoting at its highest level since May 2, 2018. It zoomed 96 per cent from its 52-week low of Rs 697 touched on October 9 last year while SpiceJet shares rose 7 per cent to Rs 84.45. Analysts at JP Morgan think that the groundings by Jet Airways/ SpiceJet due to the DGCA’s recent move combined with the financial woes of Jet Airways will play favorably for industry yield growth, including IndiGo, in the Mar-Jun quarters. However, for FY20 we will have to wait and see the outcome of the Jet recapitalization for yields to be sustainable, it added.